Gotta love Bashar and Asma al-Assad. The Syrian Arab Republic’s President and First Lady, as well as their daughter Zein and two sons Karim and Hafez, spent Christmas Day at Our Lady of Saidnaya Monastery in the ancient Aramaic-speaking town of Saidnaya, which rests on the slopes of the rugged Qalamoun Mountains that were liberated from Takfiri terrorist occupation by Hizbullah and the Syrian Arab Army last Spring. The Assads visited with the nuns and orphans of the Monastery and spent the day eating, laughing, snapping photos, unwrapping gifts and just generally enjoying the holy occasion. “God bless you!” is what Bashar and Asma were hit with when they first entered the Monastery, and as they made their way down into the courtyard where they were adorably mobbed by loving children, they were also told by the nuns, “Now we are truly feeling the holiday spirit!” ‘Twas one of those moments in which you realize that these individuals, Dr. Assad and First Lady Asma, truly are FOR the people, OF the people and BY the people. This is the kind of popular support that cannot be bought, nor staged, nor forced. One simply has it or one does not. Clearly the Assads ABSOLUTELY have it. And this is the essence, isn’t it? Every drop of Zioganda that the mainstream media has spewed out like an obese ‘Israeli’ settler with a torn stomach tract over nearly 6 years is rendered useless with scenes such as these. If Syria’s First Family was as despised by “everyday Syrians” as the Zionist press says they are, why the warm welcome and embrace from nuns and orphans, i.e. some of the most vulnerable persons in all of Syria, especially during this “conflict”? If the Assads were so petrified of their well-being because of this aforesaid hatred from “the people”, why’d they travel to an area as volatile as Saidnaya, which had been attacked by Takfiri gangs at numerous points, with nothing but basic security? 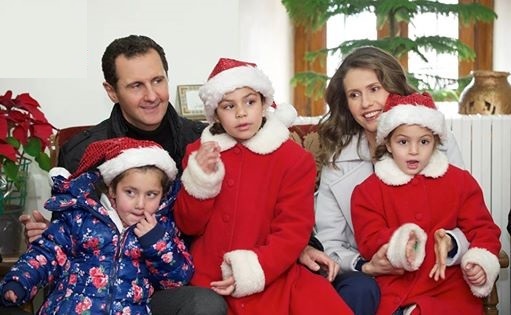 And if Bashar, Asma and their children were “divorced from reality” as a cornucopia of officials from Western ZOGs, “activists” of the NGO-Human-Rights-Industrial-Complex and terrorist-sympathizers the world over have suggested since the opening days of the manufactured rebellion in March 2011, wouldn’t they be holed up in some mountaintop mansion bunker somewhere instead of traveling around Syria to be with their countrymen in these most desperate times? Yes. Certainly. 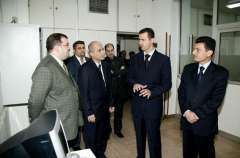 Dr. Assad and the First Lady are in fact very much in tune with Syrians, hence why they were voted back to the People’s Palace in overwhelming numbers by Syrians, why the SAA is supported just about entirely by Syrians and why Syrians view the Assads’ leadership as a trusted source of guidance. For posterity’s sake, let us be fully lucid: The Saidnaya visit was not some kind of publicity stunt or media operation but the latest stop in the routine nationwide rounds made by the Assads. The Syrian President has recently been in Kafar Souseh to celebrate Mawlid al-Nabawi and was also on the front lines of Aleppo to mark the liberation of the city. Asma, for her part, has been seemingly even busier, visiting wounded soldiers, the disabled, orphans, shellshocked students and the families of martyrs in and around Damascus, Latakia, Hama and Tartous. Can the same be said about the Takfiri terrorist darlings of Washington, the EU, the GCC and ‘Israel’? No. Because celebrating Mawlid al-Nabawi and/or Christmas in the ever-shrinking “rebel”-held areas is grounds for lashes and beheadings. Zio-NATO’s proxies continue tormenting Syrians from all ethno-sectarian backgrounds and from every age bracket. And the only “martyrs” that these Wahhabi mercenaries have any interest in receiving are the ones who bring disgrace and dishonor to the very concept of martyrdom, i.e. those who are brainwashed as well as manipulated, among them children, into unleashing suicide operations on Syrian civilians. 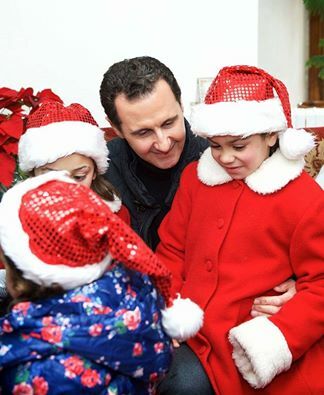 Indeed, Christmas Day highlights the genuineness of the Assads along with the stark contrast between their commitment to upholding and safeguarding Syria’s pluralism vs. the hateful, destructive barbarity of the Takiri scourge. Imagine for a moment what life would be like for the people of Saidnaya, or Maaloula, or Halab, or Armenian Kessab in Latakia, or Wadi al-Nasara (Valley of Christians) in Homs if the Assads were no more and all that remained was the Christmas-hating Wahhabi fanatics bankrolled, armed, trained and politically supported by the US-‘Israeli’ Empire. Let that sink in and try not to scream from the horror. So if it comes down to the democratically elected Resistance Axis leader and his brilliant, compassionate, composed-but-fierce and elegant missus, or the head-chopping maniacs that Zio-Imperialist powers keep referring to as “revolutionaries”, check the scenario: I’ll take the “dictator and his wife” over the “democratic freedom fighters” each and every day of the week plus twice on a beautiful Christmas Sunday in Damascus. 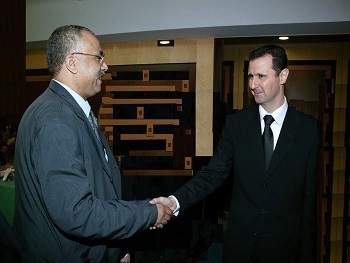 "Assad in Person: Confident, Friendly, No Regrets, he radiated confidence and friendliness as he ushered a group of British and American journalists and policy analysts into an elegant wood-paneled sitting room. Indeed, Mr. Assad has managed to hold on not only because of decisive intervention by foreign fighters, but also because of deeper support in some quarters than many thought he had". 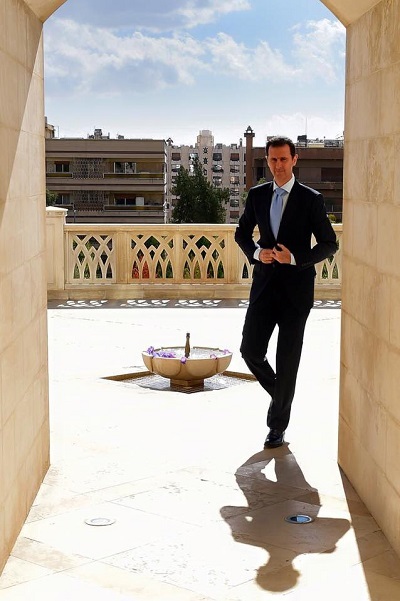 "Mr. Assad, in a dark suit and trademark Windsor-knotted tie, met us at the top of the palace’s sweeping staircase, saying he found it “more cozy” than the official one. There were no security checks". Anne Barnard, Beirut bureau chief at The New York Times, November 1, 2016. Congratulations on receiving letter from Pope Francis and the Syrian government troops success at liberating Allepo. I am sorry that the US/Saud/Israel/Turkey funded terrorists are still creating chaos to still attempt to destabilize Syria for Israeli interests, but the Pope can clearly see the legitimate Syrian government fights with honor with its honorable allies, Lebanon's army of Hezbollah, Iranian Revolutionary Guard Corp, and the Russian Federation. Our prayers are with you and your people to thwart this Despicable terror funded by the West that profits only Israel and it's parent World Bank. Congratulation for liberation of Aleppo. The evil has failed and truth triumphed. Long live Syria. I'm Amer Spahić from Bosnia and Herzegovina, from Sarajevo, me and my people support you and your people to win in your war. We also have the war 1991-1995 and we win. We hope If you have time to give interview where you tell Bosnian people about the war in Syria because the people in Bosnian believe the American newspaper and Tv. congratulations for your actual success in Aleppo ! 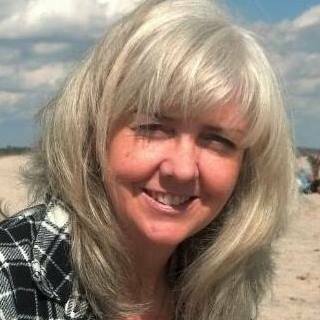 I'm happy to hear about these positive developments in your county, and of course I'm ashamed for our criminal politicians in the west, also here in Germany, where I live. But I'm also sure, that you already know that a lot of Germans know about the lies in the media and they know, that you're a good President, and really care for your people and your country. keep going on the good work, god bless you and your country ! syriatimes.sy: Thank you for this enlightenment. Two heroes of this war Mohamad Abdo Al-Ibrahim and Eva Bartlett. Steering us towards truth in a sea of lies. Stay safe. All of us should be reading the news from the Syrian point of view. How can we be aware without knowledge? Thank you Dr. Mohammad Abdo Al-Ibrahim, Editor in Chief. If these terrorists are allowed to win in Syria then the rest of the civilised world will be under threat from them. I wish that western governments would come to their senses and recognize that you are the only person who can end the war and bring order to Syria. I feel I have to e-mail you my support with your fight in your country against the evil terrorists and the US led coalition who are arming these rebels. The west interference in your country is shameful. My dear friends, let me tell my own point of view about last events in Syria. I wish you realize that something wrong had happened in main stream media field. Some corporations which represent the joint NATO project are the organizers of all military coups. Media holdings are the carriers of information war which is impossible to understand. That’s why I want to divide business systems into two opposite groups. The first one is the business of knowledge focused on high technologies & peaceful partnership; the second type is the last century strategies of capturing territories, property redistribution & socio-economic deadlock as a result of it. Such kind of people have to bet on military coups (so called revolutions) ignoring all democratic tools. The terrorist state Daesh / ISIS / ISIL was formed after a series of so-called revolutions in the Middle East and Syria was no exception. In order to destroy the state it was necessary to discredit President and entire propaganda machine was turned on. 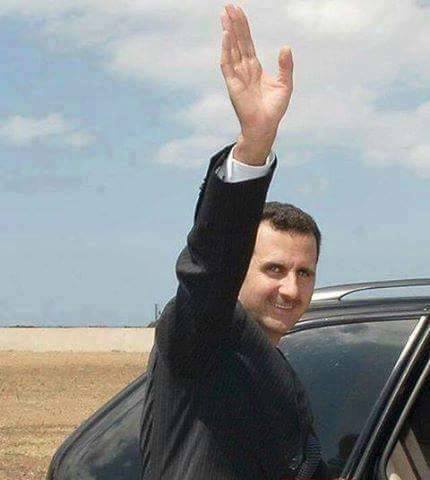 Bashar al-Assad is a legitimate popularly elected President of Independent country where there is Rule of law and religious moral and ethical criteria. It is not easy to Muslim leader to rise above religious prejudices and form a society of unity and brotherhood. I wish every human being to comprehend the consciousness of human spiritual. 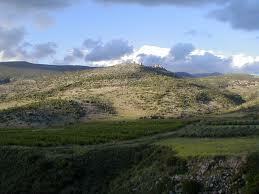 The path of hardship and pain of all Syrians & their Leader should be the lesson for war dreamers. 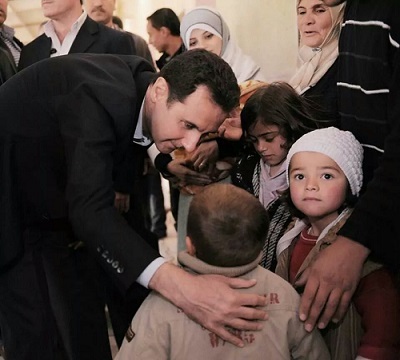 Contrary to Western fake news, Assad's approach towards terrorists is deeply humane, some would say overly humane. Here is what we know and what must be answered. 1. His courage and integrity. "Anyone can be president. I'm Syrian. I was born in Syria and I'll die in Syria" he said. And he meant it. He could have run from Syria with a blank check by the Saudis; his wife and children safe. But they stayed. Like the captain of a ship he determined to stay at the helm. He is known throughout Syria to be incorruptible. He and his wife are steadfast in their devotion to the people. 2. He is a unifying figure. His support comes from every religious and people group in Syria. The majority of Sunnis (Sunnis make up about 70%+ of the population), the Alawites, the Christians, and other minorities support him. They despise the "rebels" and their fanatical religious fundamentalism. 3. His total commitment to secular government. Syria is predominantly Muslim but everyone is free to practice their own religion without any persecution. He has a fierce dedication to education - free, quality, secular education and positive initiatives for young people. Sports, the arts and sciences. 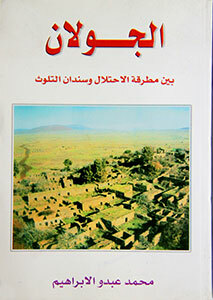 Care and protection of all historic and archaeological sites. Quality healthcare. 4. Women's rights. Women are engaged in every aspect of Syrian society. They can wear miniskirts or burkas - it's up to them and their families. They are leaders in government, scientists, business owners, professors - you name it. 5. Non-aggressive. 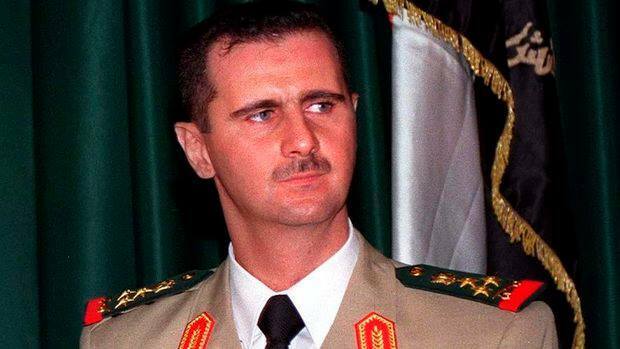 Bashar al-Assad has never invaded another country. He had always wanted positive relations with the west - but he was unwilling to be our puppet. He is not a puppet or proxy for Russia or Iran btw but is committed to maintaining Syria's sovereignty and independence. 6. His patience and wisdom. Even while being continuously and maliciously slandered by the west and our allies, his calm and pragmatic nature and message have not wavered. He has told the truth of this conflict from the beginning. Both he and his wife Asma have modeled the highest standard of conduct in the face of terrible danger - and unending false horrific accusations by western and gulf media. 7. His reforms. Syria has plenty of problems to deal with especially being at the heart of the Middle East - a region subject to intense pressures from regional and global factors and factions. Yet Assad has been patiently working on improving the lives of all Syrians while building a strong foundation for a functioning and maintainable democracy. I'm sorry if it offends people in the west that he is a "dictator". But as long as our governments keep bowing down to the utterly depraved despots, the absolute monarchy, the ISIS and al Qaeda godfathers - of Saudi Arabia - who behead more people than ISIS, who allow no religious freedom whatsoever, and who consider women as property - I will keep laughing at this "offense". Truth is when you're in a region as volatile as the Middle East with the Saudis bankrolling violent fundamentalism and terrorism wherever they go, and every global power wanting to control your gas and oil, you've got to have a strong man in charge. 8. His warmth. He's just a likable guy. When I first showed my husband an interview with him in 2012, Syd said, "I want to have that guy over for dinner!" He drives himself around Damascus often. Wherever he or his wife are, the people swarm around him, get so close. Would never happen in the US. 9. His accomplishments are many. 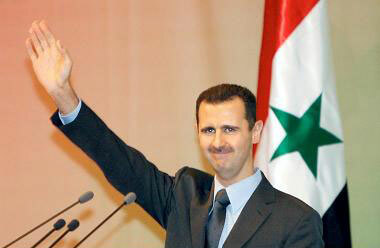 President Assad was voted Most Popular Arab Leader in regional polls in 2008 and 2009. Syria was one of the 5 safest countries in the world to live in before 2011. It was becoming one of the most popular tourist destinations in the world. The economy was opening up and improving. Syria has gone from one recognized political party to over 20. They have a popularly ratified constitution and have held elections for parliament and president even while at war. But the bottom line is this...whether anyone likes Assad or doesn't...what is reality it what he said himself: ONLY the Syrian people can and should decide their leader and government. Not the US, UK, France, Israel, Saudi Arabia, Qatar, Turkey. Not the Muslim Brotherhood. ONLY Syrians. 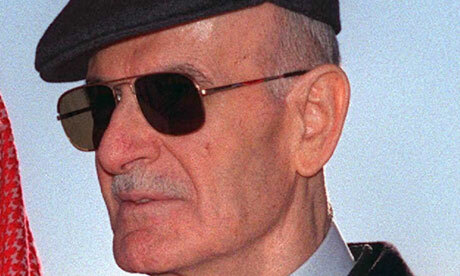 I said before, I make no apologies for President Assad. In EVERY other country in the world, the forces he is fighting are called terrorists. Terrorists is what they are and have always been. It is impossible to fight terrorists without killing people, without bombs. There would be no terrorists in Syria to fight if the United States had not been using them to perform our illegal regime change coup against this popular and positive president. Janice Kortkamp added 32 new photos. 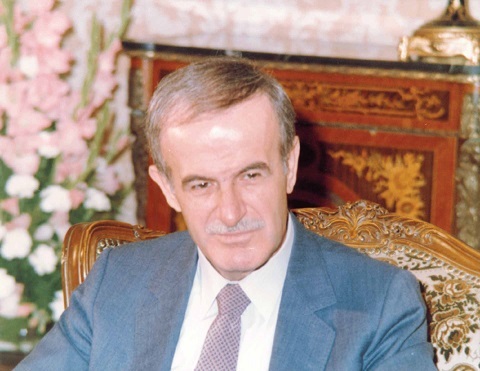 "Assad wasn't targeted to create stability in Syria"